HD TV series featuring the greatest destinations in the world, one luxury escape at a time. In addition to filming in Ecuador, we also filmed in Australia. SANTA MONICA - ​Hostelling International and FreeRoad Entertainment created "Why We Hostel," a commercial encouraging travelers to get out, meet others, and explore the world through hostels. BAY AREA - Hostelling International and FreeRoad Entertainment show off HI's Bay Area hostels in a series of videos. DOWNTOWN CHICAGO - Hostelling International and FreeRoad Entertainment created a series of videos giving travelers tips throughout Chicago. Aspire and Free Road Entertainment are working with Amazon Prime to bring Aspire to the US. An established European brand, Aspire is making its launch in North American markets--and Free Road Entertainment is leading the charge with creative marketing and advertising. Created by Free Road Entertainment in partnership with Osprey, Mehdy's Travel Tips features creative animation, seamless product integration, and community connection with Mehdy's active fan base. Written, Directed, and Produced by Free Road Entertainment and staring Mehdy Ghannad, this artistic themed commercial, illustrating the attractions of this annual 40 hour Non-Stop Festival, will be aired on Portuguese TV and other Social Media Channels. Free Road Entertainment Presents So We May Grow, a Miccosukee short film produced by Mehdy Ghannad. The story of an Uncle sharing the ways of the Miccosukee to his nephew is narrated by Hollywood star Adam Beach. Other films created for the Miccosukee Tribe include We Must not Forget and a commercial for the Miccosukee Village. With over 100,000 average viewership per episode, The Hostel Life is currently the #1 show on Venture Channel. The Hostel Life is created, hosted, produced, executive produced, and written by Mehdy Ghannad. Below are links to a few of our fan favorites. 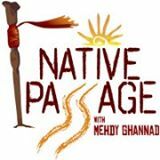 Native Passage is written, hosted, produced and executive produced by Mehdy Ghannad. The show was also worked in conjunction with the production company Human Not Hollywood and 4 What Interactive. In conjunction with Native Passage with Mehdy Ghannad, Jeep was a sought-after sponsor to be the automobile of choice to take on this epic road trip throughout Native American Lands. A property of DK Publishing, Rough Guides is a leading international publication for travel and reference guides. Rough Guides is a proud sponsor of The Hostel Life, Native Passage with Mehdy Ghannad, and Small World with Mehdy Ghannad. This commercial was shot across 6 different countries and locations. 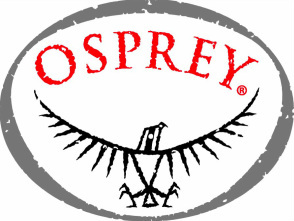 Osprey is a well-known top of the line maker of backpacks and travel gear. Osprey Packs will be sponsoring and working closely with Mehdy Ghannad to produce several travel tip videos in the near future. This commercial was shot on the Red Camera, which is used in many Hollywood movies today. Osprey Packs is also a proud sponsor of all of Mehdy Ghannad’s creations and productions. Small World With Mehdy Ghannad was created in conjunction with the Scripps Network as a rebrand of The Hostel Life for their online platform uLive.com. Only a few travel personas were targeted to be part of this new initiative. Cornelsen Schulverlage has partnered with Mehdy Ghannad and The Hostel Life, to help educate native German speaking students on international culture and the English language.